MP NEET MBBS Counselling 2018 : Director of Medical Education, Madhya Pradesh has released the notification of MP NEET Counselling 2018 for admission in MBBS courses. Thus the authority has started the registration process from 12th July and therefore candidates who have qualified successfully in NEET 2018 must now apply for the counselling. 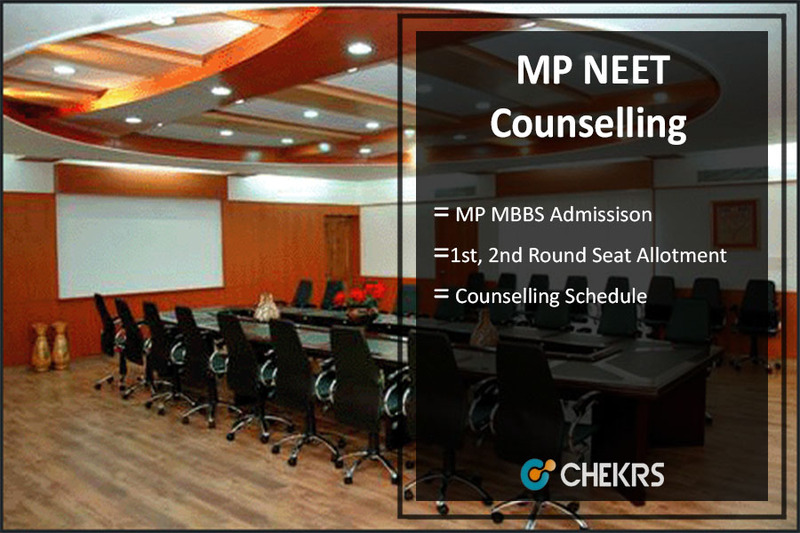 The MP NEET MBBS Counselling Schedule will be conducted in two rounds which include a subsequent number of steps. Therefore in regards to more precise information of procedure, MP NEET 1st Round Seat Allotment followed by second round and other related terms check the article below. Director of Medical Education, Madhya Pradesh conducts the MBBS counselling every year on the basis of NEET exam. The authority is going to release MP NEET MBBS Merit List 2018 on 17th July and accordingly conduct the counselling process on 20th July 2018. Thus all the eligible candidates who have successfully qualified NEET 2018 by meeting the required NEET Cut Off must now appear for MP MBBS Counselling 2018 to get admission in MBBS colleges of Madhya Pradesh. Thus candidates who have successfully filled up the application form can now download the merit list can get complete details. Only the candidates whose name appears in the merit list will be further called for choice filling and document verification process. All the candidates applying for MP MBBS Admission 2018 must keep track of the counselling dates as discussed below. Madhya Pradesh NEET Counselling 2018 includes a subsequent number of steps which details are discussed below. All the candidates who are eligible for counselling must at first go through the process of MP NEET Registration 2018 and create a login profile. At the time of registration, candidates need to enter the required details and make payment of Rs 530 as registration fee. After the counselling process, applicants must further go through the document verification process where he/ she needs to present the below-mentioned documents for verification. After registration, the candidates need to fill and lock their choices as per their preference. For each round of counselling candidates will be able to fill and lock the choices as per the order of the merit list. Once the choices are locked there is no any option to change it. At the end of counselling, seats will be allotted to the candidates on the basis of merit, category, choice, and availability. In the first round of the counselling seats will be allotted for the unreserved category of domicile candidates and in MP NEET 2nd Seat Allotment, seats will be provided to the remaining candidates. After the completion of both the rounds, if seats remained vacant, left out round shall be conducted in which remaining seats will be filled. Director of Medical Education, Madhya Pradesh will carry out MP MBBS Counselling on the basis of NEET 2018 Result. Therefore at the end of counselling the authority will conduct MP MBBS Seat Allotment 2018 process where seats will be allotted to the eligible candidates on the basis of merit, choice, category, and availability.